SOLD - 14 Tall Tree Rd. 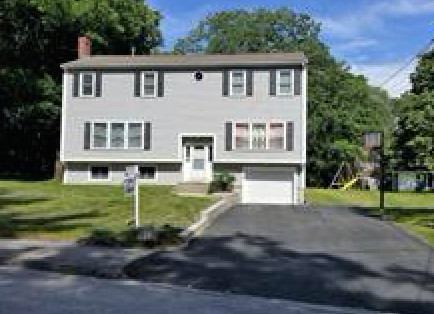 Sharon, MA - Quincy Real Estate, South Shore Real Estate, SALES & LEASING! Looking for a large home in one of Sharon's most desirable neighborhoods? Located just a short walk to Sharon Middle school this 3 oversized bedrooms / 3.5 baths home offers over 3000 sq. ft of living space. Gracious living room with gas fireplace, recessed lighting, wet bar and gleaming hardwood floors throughout the first floor. Kitchen with spacious eating area, Du-Pont stone counters & stainless steel appliances adjacent to sunroom overlooking deck and private rear yard. Add to this partially finished lower level with full bath, play room or home office and fireplace. A generously sized master bedroom with walk-in closet, full bath w/ tub and shower. Two-zone natural gas heat with central air, 200-Amp electrical. The second floor was added in 2005-2006, septic tank was replaced in 2006. The roof is just 11 years old, mostly newer windows.